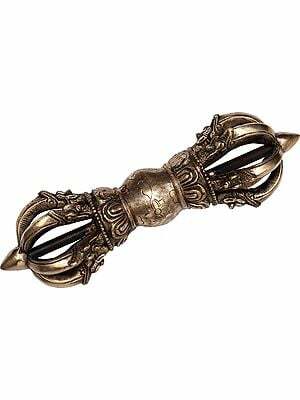 The vajra is a staple of the Vajrayan tradition of Buddhism and encapsulates the twin qualities of indestructibility and irresistible force (in Sanskrit, the word for both 'diamond' and 'thunderbolt' is vajra, which leads us to the two qualities). 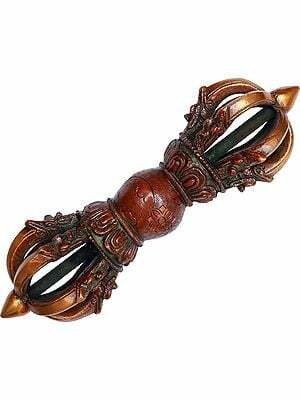 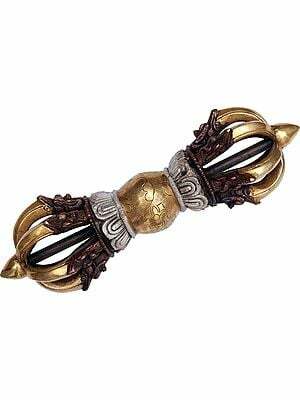 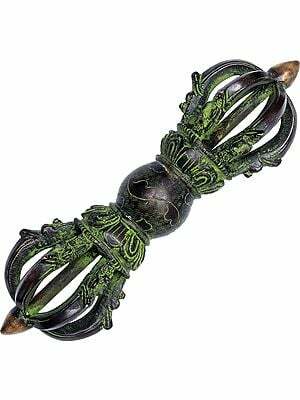 A careful glance at this vajra, painstakingly sourced from Nepal, will reveal that its prongs meet at the ends, indicative of the quality of peace. 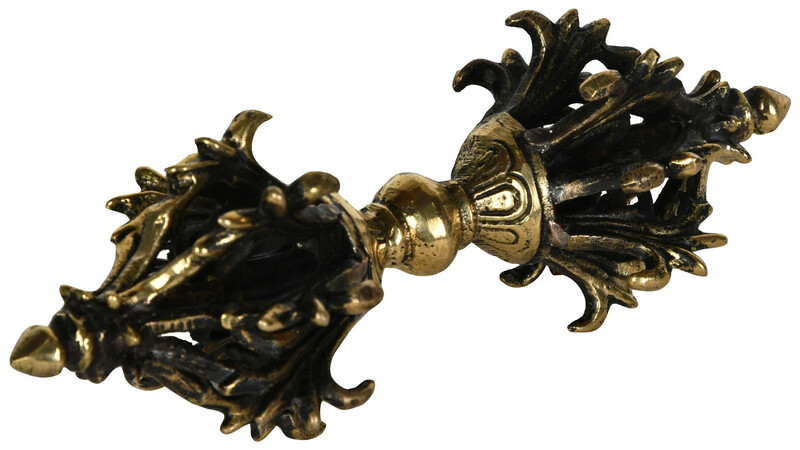 When held as a ritual implement, the upper prongs signify the Buddhas of the five families and their four mothers, whereas the lower prongs signify the five wisdoms, equanimity, compassion, joy, and love.